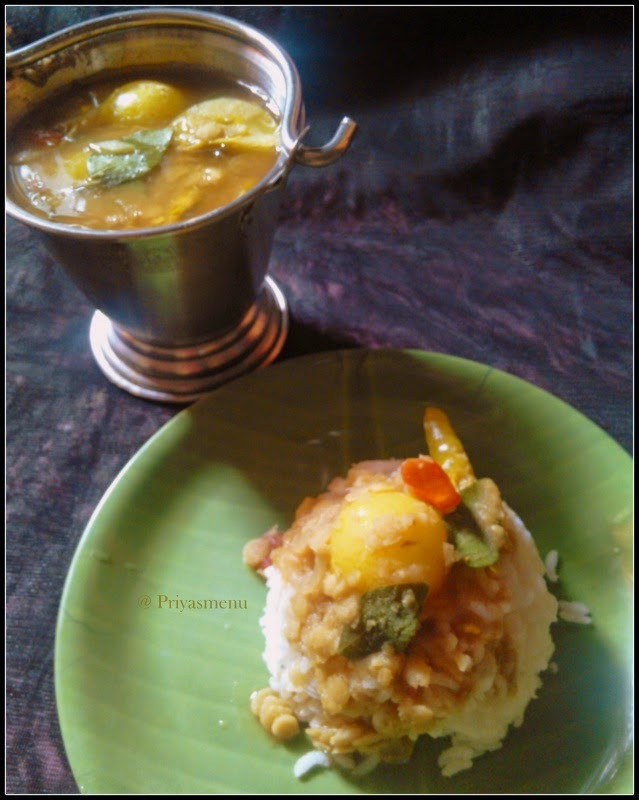 Have you tried Sambhar without sambhar powder, Chilli powder and Tamarind ? 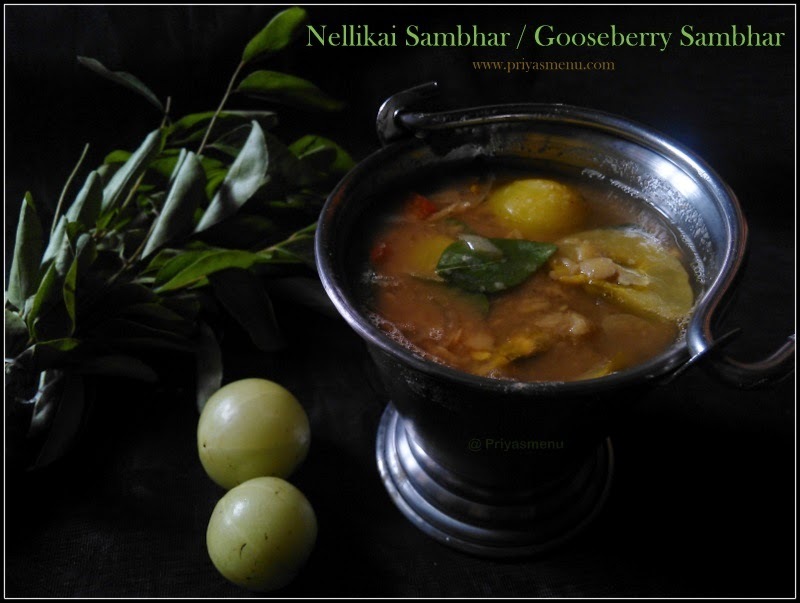 My today's recipe "Nellikai Sambhar" is prepared without sambhar powder and Tamarind juice. 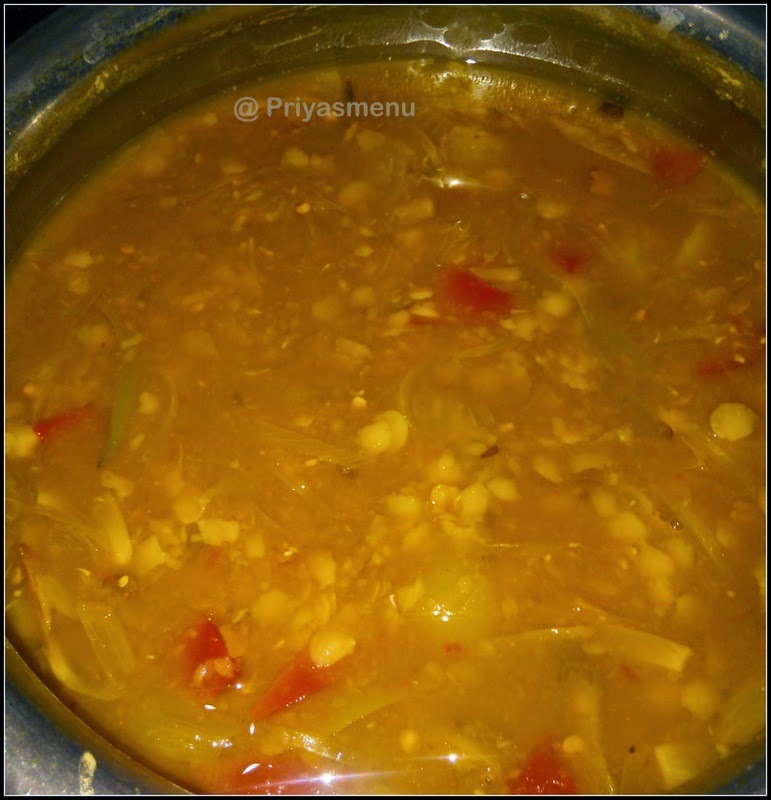 Just an addition of few green chillies and lemon juice enhances the taste of sambhar and gives a refreshing flavor. 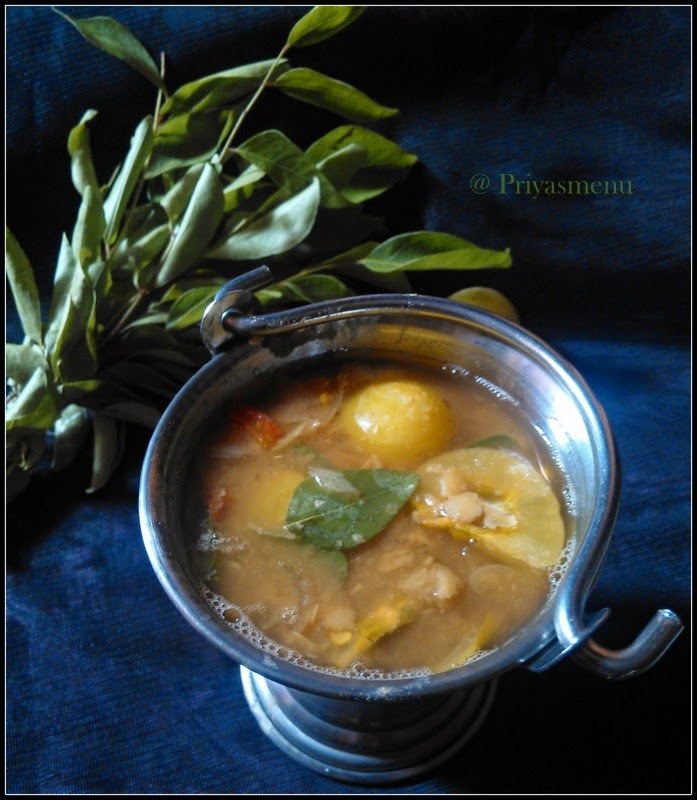 This can be served either with hot rice, Idly or Dosa. 1 Small Lemon - squeeze out the juice and keep aside. 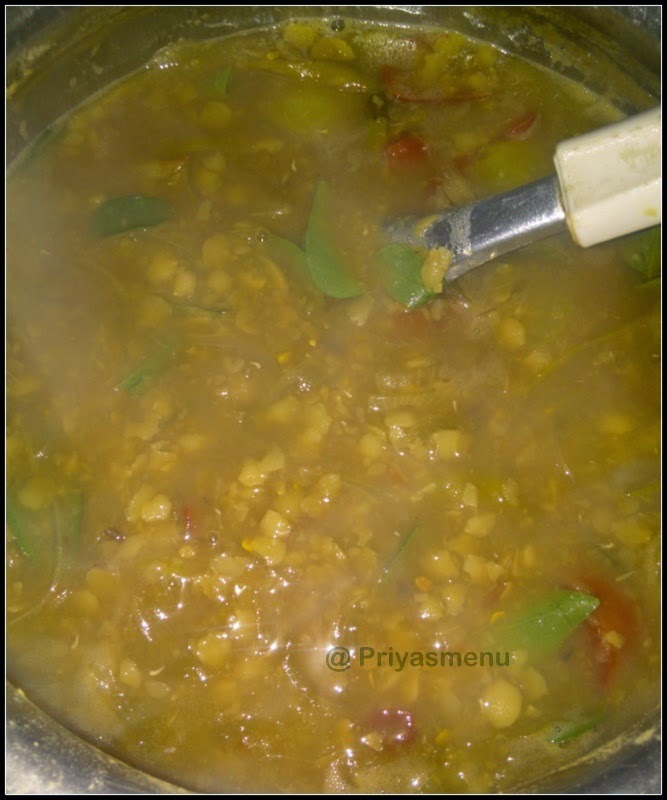 Wash and pressure cook dal by adding 2 cups of water for 5-6 whistles. Remove and mash it. Keep aside. 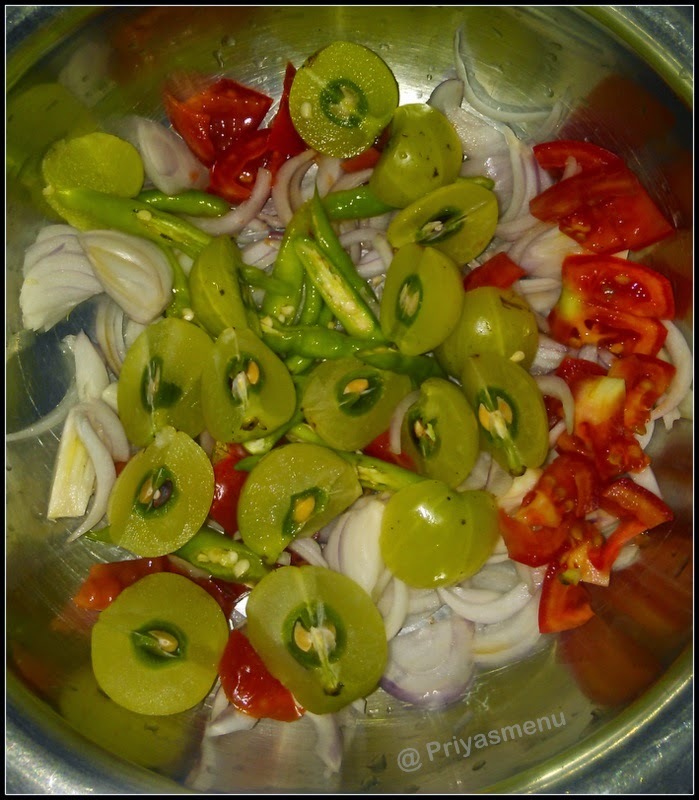 Take a deep kadai or vessel and add sliced onions followed by tomato, gooseberry / nellikai, green chillies, 1 Tsp salt and Turmeric powder. 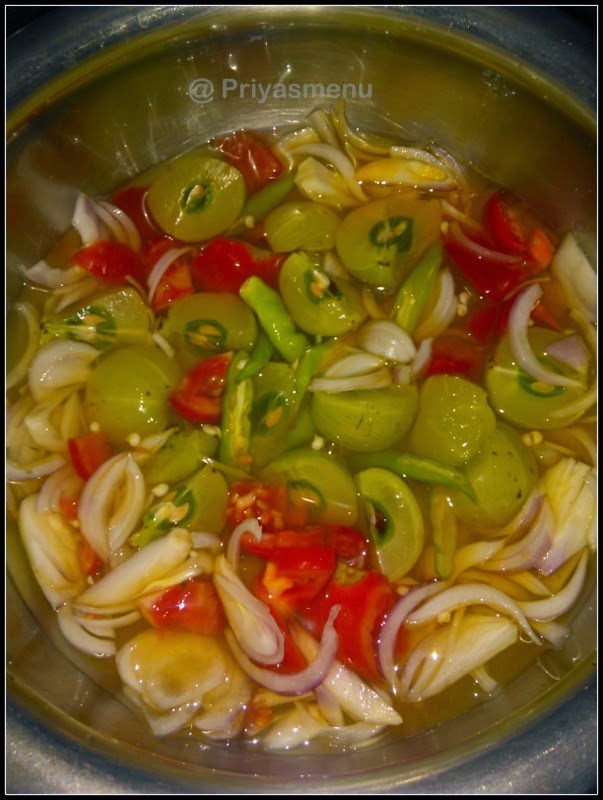 Add 1 - 1/2 Cups of water and cook it for 10 minutes or till the gooseberry gets cooked in a medium flame. Now add the mashed dal and mix well. 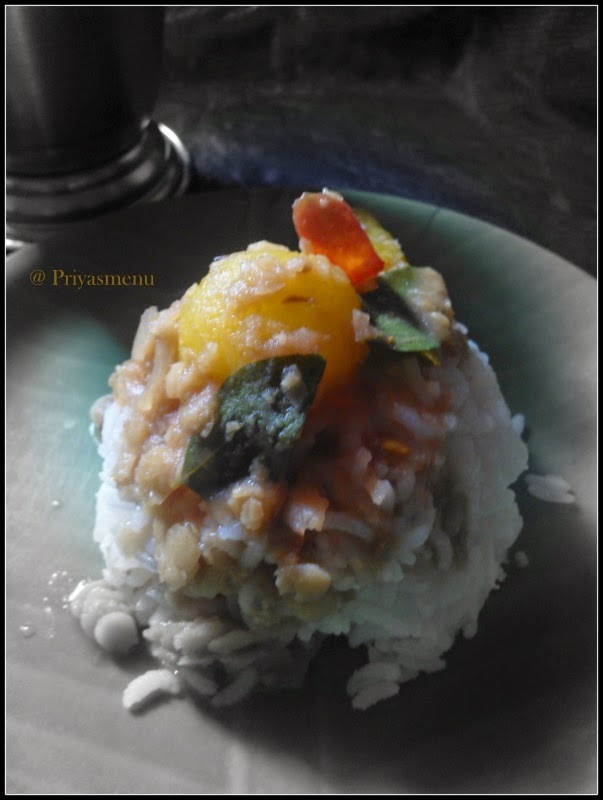 Adjust salt and add water, if the sambhar is very thick. Cook it for another 3-4 minutes and garnish with curry leaves. Heat oil in a small pan and add Jeera followed by hing. Add it to the sambhar and switch off the flame. Must be nice and tangy .. will try when I am in India as we don't get them here.